Bye, bye. So long. Adios. Sayonara. Ciao. And just plain old good riddance. Tangles and knots, you have met your match – times two. Thanks to a couple of the best detangling brushes, snags, clumps and knotty lumps are a thing of the past. No more battling with your hair or your child’s. And worry not about breakage, unnecessary hair loss and split ends – translation…no more yanking or pulling or tears! 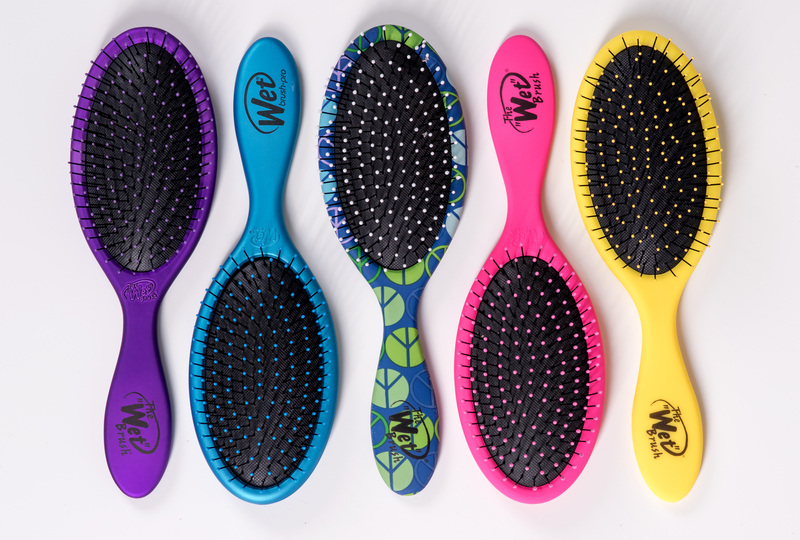 Let’s start with The Wet Brush, my favorite detangler. It has an easy, familiar design with a non- slip grip. It’s cushiony with super flexible bristles and little tips at the ends to make brushing really gentle. I use on my hair wet and dry, it’s great for both. It comes in all colors of the rainbow, and prints, too. And if you have hair extensions or a wig, this pro brush works amazing on them as well. Maybe you have a kiddo that can’t stand having their hair brushed? This baby is ideal. And now on to Knot Genie, my favorite detangler. Yep, love them both. The Knot Genie fits perfectly in the palm of your hand. 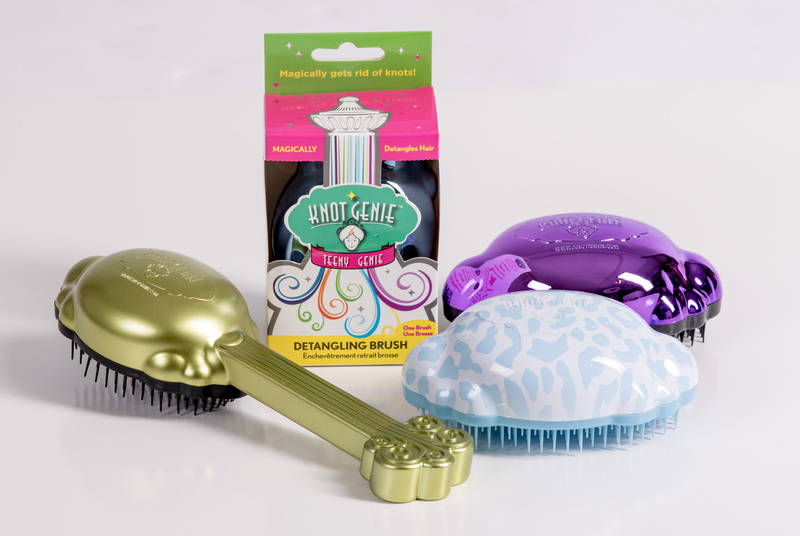 Or if your little one is independent like mine and wants to do their own brushing, go for the Teeny Genie. The special bristles glide through even the knottiest hair in a snap. Painless detangling? Your wish has been granted with this magical tool. It comes in bright solids and cool metallics. There’s also one with a handle, if that’s what you’re more used to. They’re both awesome knot busters and both my #1 pick. You can’t go wrong either way. Let me know what you think. Here’s to happy brushing and happy hair! This entry was posted in detanglers, hair brushes and tagged detangling brushes. Bookmark the permalink.